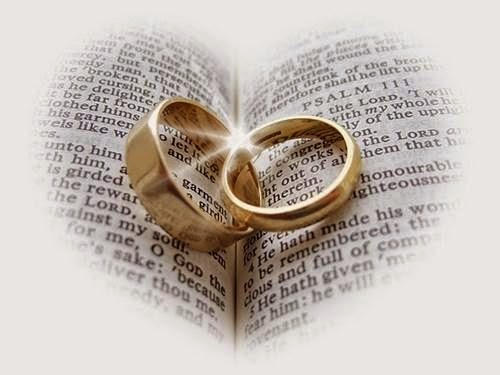 Covenant Relationships: The War Against Marriage: Are You Letting the Devil Win? The War Against Marriage: Are You Letting the Devil Win? Marriage is the one institution the devil is constantly waging war against. It is also the one institution many of us seem to be increasingly careless about. Having read so many disheartening stories about broken marriages, I couldn't help but wonder if people are really as bad as they seem, or if we are caught in a spiritual warfare we're not paying any attention to. Of course marriage is not only about the spiritual, it is about the physical too- the physical characteristics and personality traits of our chosen partners, amongst many other things. The problem I see these days is that the devil is stealing our attention from the spiritual, by making us focus on the physical. Marriages these days are crashing faster than blind bats; irreconciliable differences is one of the most common reasons for divorce. i wonder who came up with that term 'irrecobnciliable difference'. In all my years on earth, I am yet to really come across differences that cannot be reconciled if the two parties involved want to. However, for some reason, couples are struggling to reconcile these so-called differences that creep out of nowhere after five to ten years of marriage. Couples grow apart instead of growing together, they suddenly have different interests, they prefer to sleep in separate beds because one bed is just too small, they submit to the wiles of the devil, all the while thinking they are living a modern marriage. Do you and your partner leave arguments unresolved for days because nobody wants to apologise first? Are you constantly suspicious of your partner's activities even though you know he or she would never betray you? Do you let your children come between you and your partner, and hide behind the excuse of "I need to concentrate on the children"? Do you constantly let your partner's ex become a topic for discussion in your home? Do you prefer to leave your partner behind as you climb the ladder of success because he or she doesn't fit into your newly acquired status?Open your eyes and see the devil at work in your marriage! Don't let the devil win in your marriage! You can do something about it! It is common practice these days that when men or women acquire a higher status or wealth, they start to grow apart from their partner. Suddenly, Bob who's VP of the London office seems like a better catch than the partner who stuck with them when they were at the bottom of the food chain. Men start to notice Sally at the office after ten years of marriage; she's still skinny, looks young and is the eye candy of the office, so unlike their wife who's had four kids and works a low-paying job. truly we can blame the physical attributes of a person for these actions that often break marriages, however, most of these attributes are dictated by what our spirit is paying attention to- greed, lust, jealousy etc. You need to wage war against the devil if you want your marriage to stand a chance. You need to constantly pray for your partner, pay attention to your partner and be content with your partner. To have married someone, there must have been some qualities that attracted you in the first place. Is it natural that in spite of those qualities being present, you are no longer interested? Instead you have a hunger for something else that probably doesn't even measure up to what you have at home? Don't let the devil steal your marriage! Don't let your partner's ex become the devil's instrument that you willingly accept and use to break down your own home. Don't let unwarranted anger, jealousy or greed destroy the institution God has blessed. May God heal broken homes and broken hearts.